THEY DID IT – YET AGAIN! 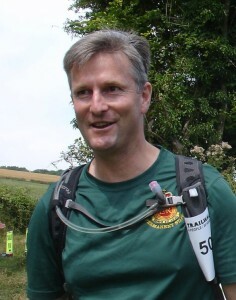 Every year up to 2,500 people join together to tackle Trailwalker – a demanding 100kms trek over the South Downs, with ascents and descents equivalent to climbing Ben Nevis twice. But the twist is that this must be done as a member of a four-person team, and in less than 30 hours. 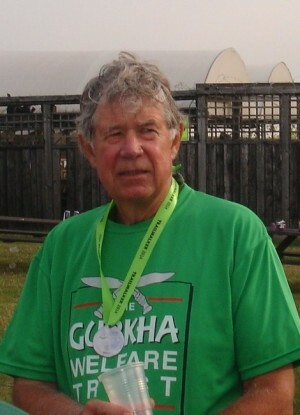 Oxfam and the Queens Gurkha Signals organise this huge fundraising challenge, with the income being split between Oxfam and the Gurkha Welfare Trust. 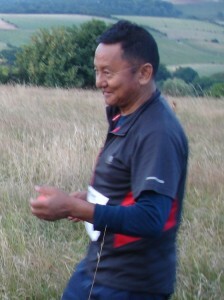 On Sunday 27 July a weary Gurkha Bhuros Team crossed the Finish Line of Trailwalker 2014. For the first time in five consecutive years the team have broken the 24hrs ideal – they finished in 23 hours and 47 minutes! In recent years they have had to contend with foul weather, but this time it was too hot – 28º – and very hard work. The team relied on their brilliant Support Team from the GWAC and, although they finished exhausted and sore, were incredibly proud to have partaken in this gruelling challenge. But they were not the only ones celebrating, for Brigade teams dominated, with RGR and QGS filling the top five places. The 1RGR team from Brunei got within minutes of breaking the long-standing record – no mean feat in the searing heat – and teams as varied as the all-ladies QGS team and the Gurkha Line Boys (sons of Gurkha Majors) showed how well some of the Brigade supports this vital fundraising event for our charity – the Gurkha Welfare Trust. 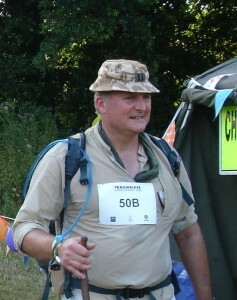 Our teams were not alone – hundreds of people from all walks of life, of all ages and of all shapes, struggled through Trailwalker for our Brigade’s benefit. It remains a most humbling experience to meet so many people who know so little of us, yet do so much for our old soldiers and for Nepal. We commend them to you. 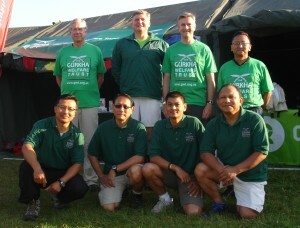 The Gurkha Bhuros have raised over £3,000! To those of you who have supported them, our grateful thanks – and there is still time for others to show their support. Please go to www.justgiving.com/gurkhabhuros14 to see the full story. 099 John at the end!